My artistic production currently ranges from performance to site-specific installations, environmental works and sculpture. Recent work, performances in particular is influenced by change, the contrasts and similarities I encounter in the two lifestyles I have, Zambian and Finnish. I use materials that are directly connected to daily human life to evoke memories around personal or collective histories, tragedies and hopes. 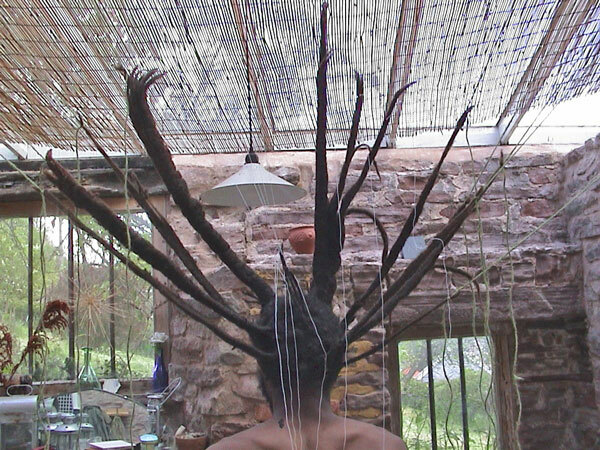 My body and dreadlocks are the embodiment of my life but I also use them as framework for playing with the notions of transfiguration and identity, at the same time, the creative dimension of performance becomes a permissive instrument for communication.